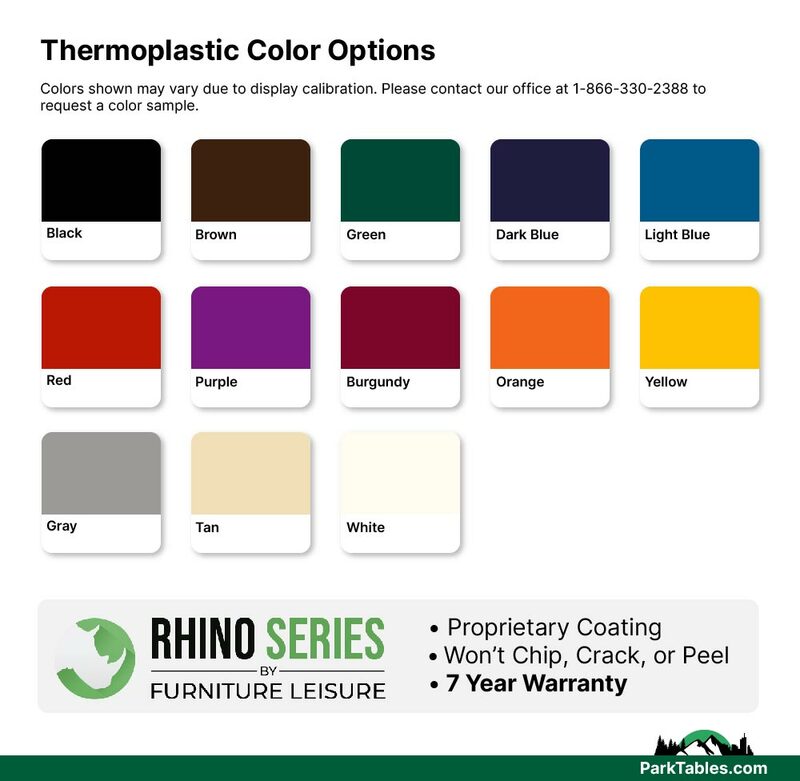 RHINO Commercial Outdoor Furniture is coated with industry leading polyolefin thermoplastic and made of US sourced steel. 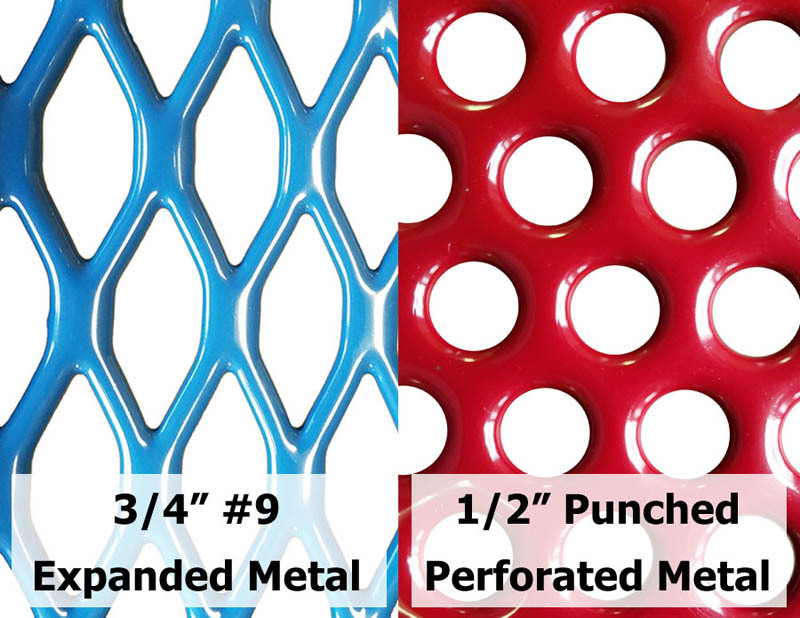 RHINO coating is so heavy duty and corrosion resistant it is used to protect oil rig pipes under the ocean. 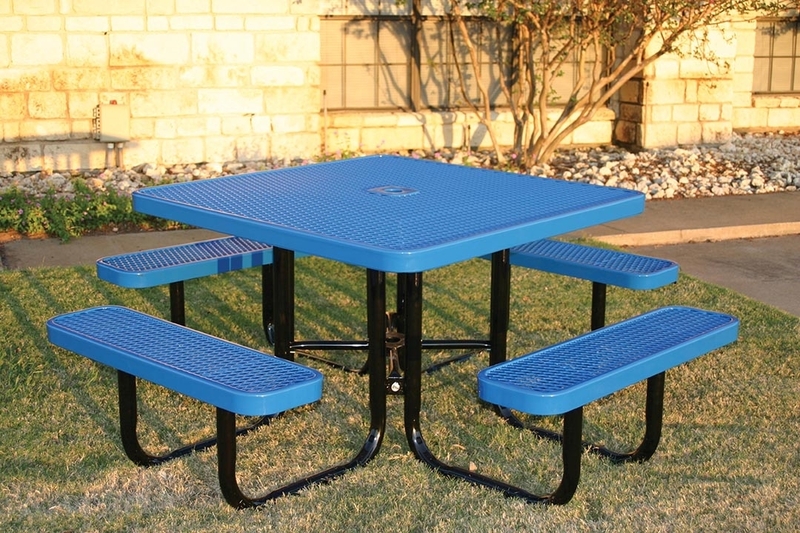 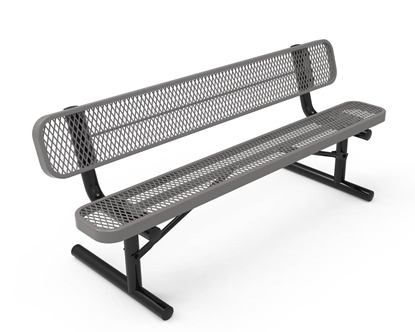 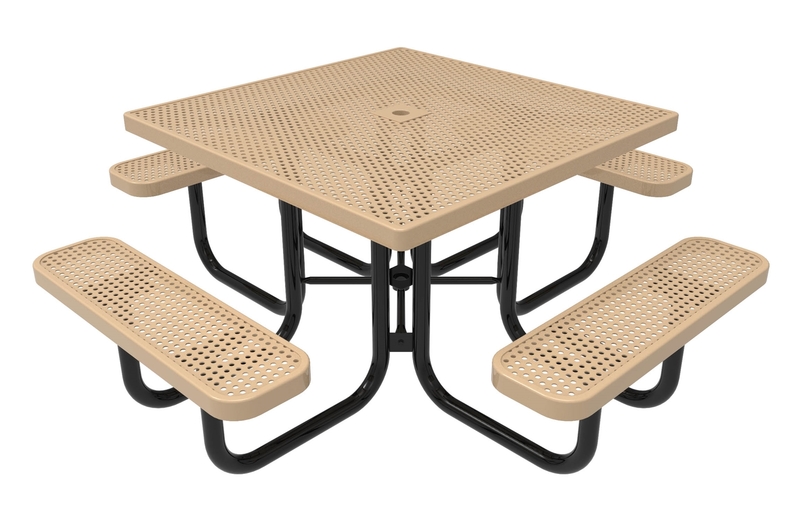 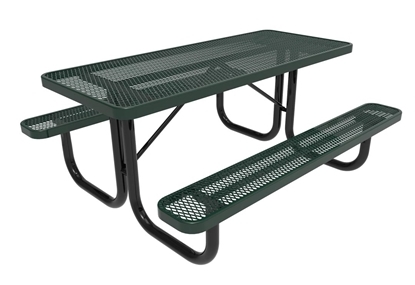 Made with 3/4" Expanded steel or 1/2" punched steel top and seats and a 2" powder coated frame. 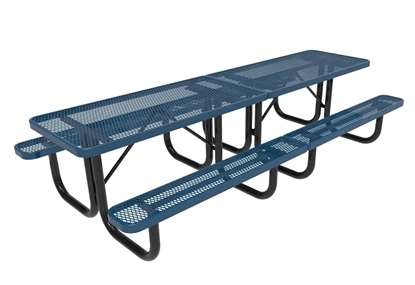 These picnic tables combine Endurance, Strength, and Styleat the best price. 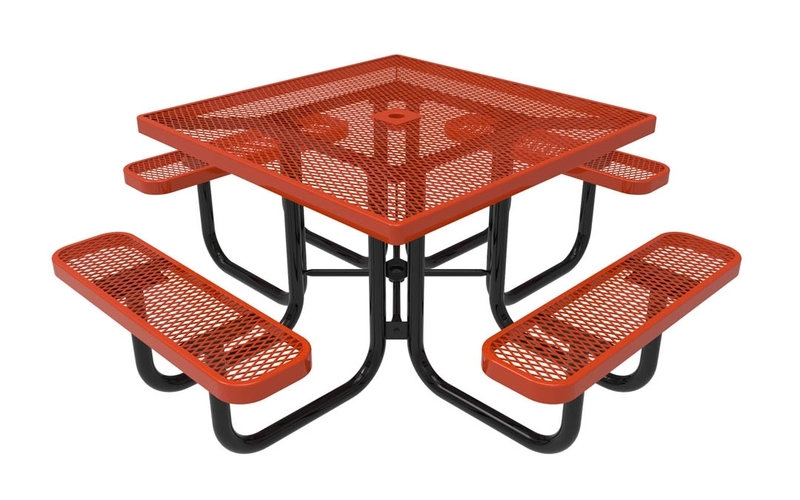 The RHINO square picnic table has a unique style that you will not find anywhere else - call today for quantity discounts and fast shipping! RHINO Rectangular 10 Foot Thermoplastic Metal Picnic Table, Portable, Seats 10 adults, 383 lbs.